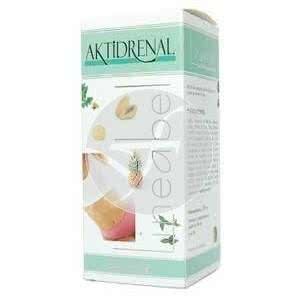 Aktidrenal Tongil Lineabel is a dietary supplement that, thanks to the qualities of its components, will help us in the diets for weight control. We will also help to eliminate retained liquids, as well as to attack localized fat that forms cellulite.With 13 plants and 5 fruit juices that contribute to reduce volume and eliminate impurities. Papaya, pineapple. Artichoke, Grama, tooth of Lion, Boldo, sarsaparilla, Fumaria, cinnamon, licorice, Oregano, thyme, Ginseng, green tea and horsetail. It includes natural juice of grapefruit, Apple and watermelon. DIRECTIONS: Mix two tablespoons with a liter of water and drink the contents of the mixture throughout the day. Optionally a tablespoon in a large glass of water may also be mixed twice daily.